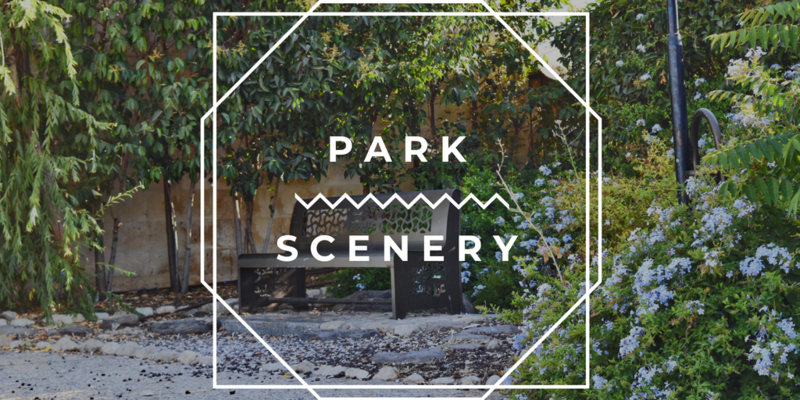 Everyone loves a good park, but let’s be real, in Amman the Garden of Eden isn’t exactly always around the corner. 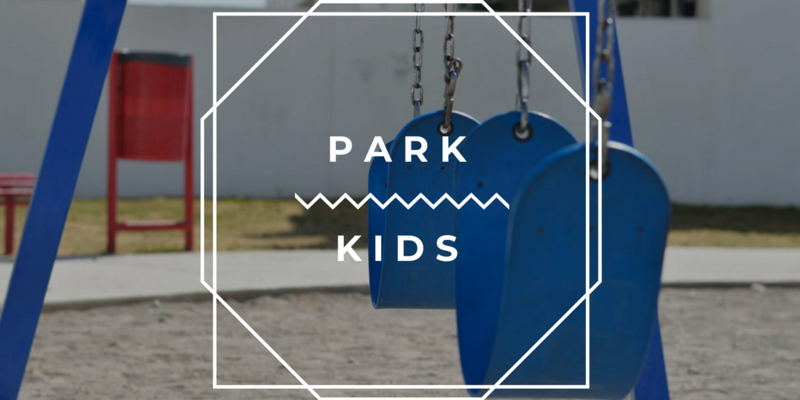 A good park can keep the kids busy, provide you with the space you need for a breather and allow you to take that walk far from the crowded streets and car horns. Whether you’re going for the scenery, your kids, or for a little adventure, here’s a list of gems in Amman worth checking out. 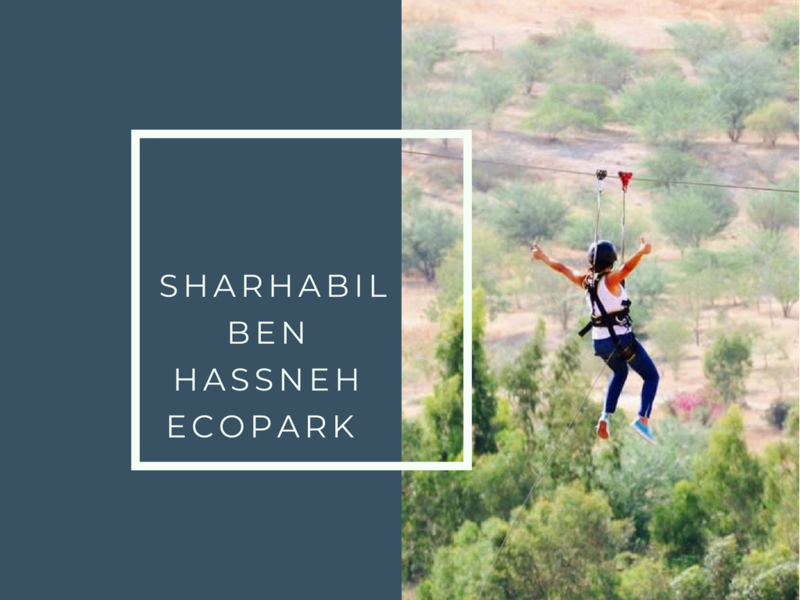 Located in North Shouneh, an approximate two hour drive from Amman, The Sharhabil Bin Hassneh EcoPark is definitely worth a visit. This Ecopark is a hidden paradise waiting to be discovered. 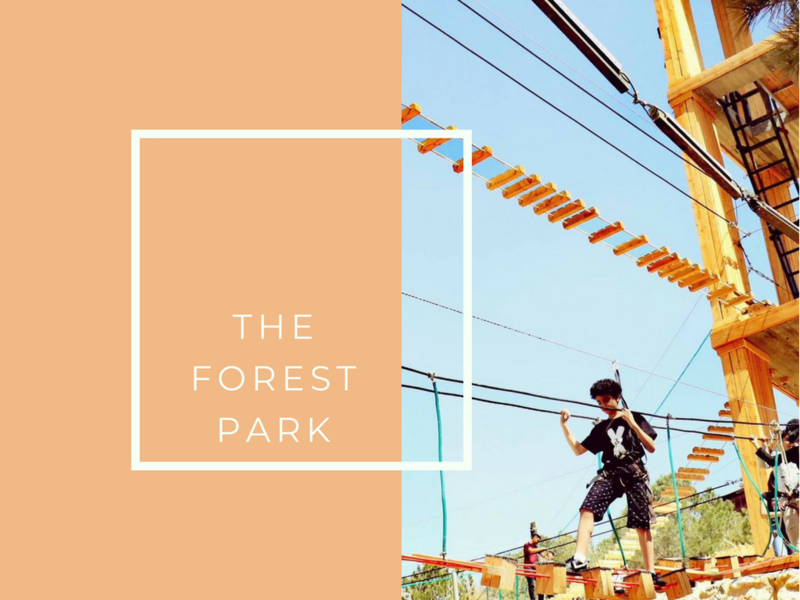 Offering a range of activities including walking tours, biking tours, bird-watching, meditating, zip-lining, and a giant swing (not for the faint-hearted) the Ecopark is suitable for all ages and is the perfect family getaway. Tip – If you don’t want to prepare food at home, you can always notify the park staff earlier and enjoy an authentic Jordanian meal for a little extra cash. 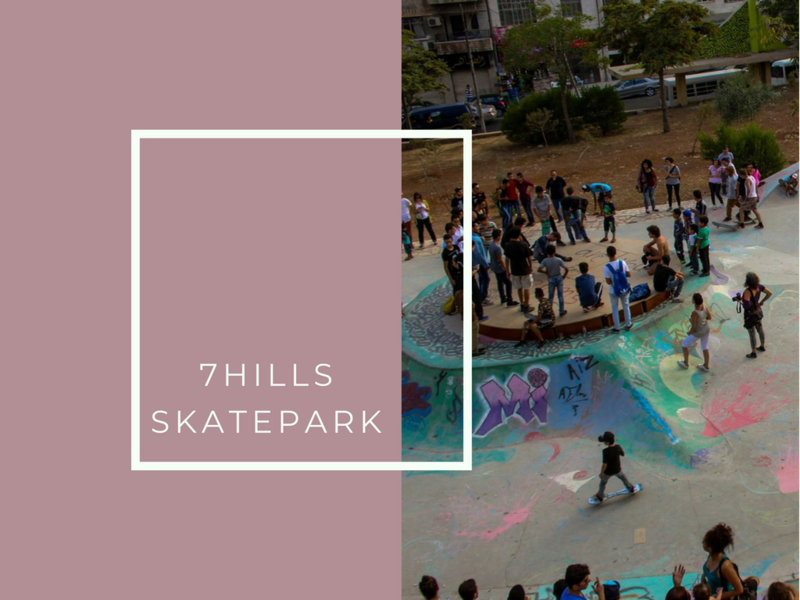 Named after the seven hills Amman was built on, 7Hills Skatepark is the first of its kind in the city. The park is open to anyone and everyone, and has become more than just a skatepark to the community. A place where not only skateboarding takes place but also where graffiti, break-dancing, parkour and fire juggling can be witnessed on any regular night. The park was built by a group of volunteers within a span of 18 days and most of the kids who helped build it, are now resident skaters. Tip – Although Philadelphia Skateboards is currently not selling any boards, head over to Champions as an alternative. A woodland composed of pine trees, The Forest Park is much more than just a natural park. For those looking to unplug, you’ll find all the serenity you need. However, if you’re up for your next adventure, this park will also serve up exactly what you need. 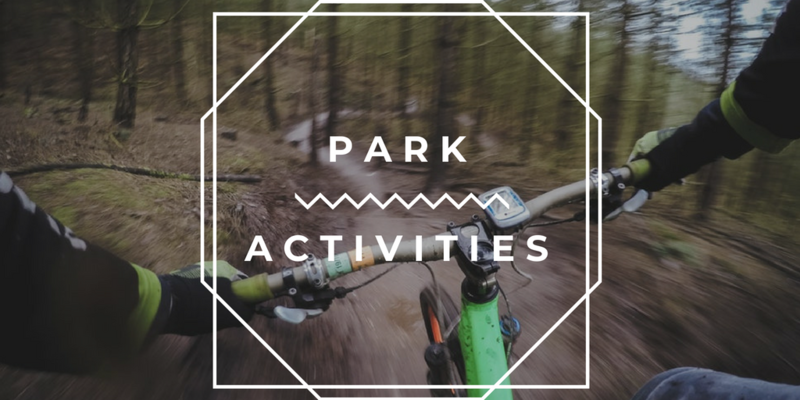 From buggies, paintball, and horse riding to cycling, zip-lining, and rope courses, it’s never a dull time at this park. Tip – You can’t bring any food/beverages with you, but no worries, The Forest Park serves delicious local food. Craving a nice outdoor BBQ and not sure where to go? 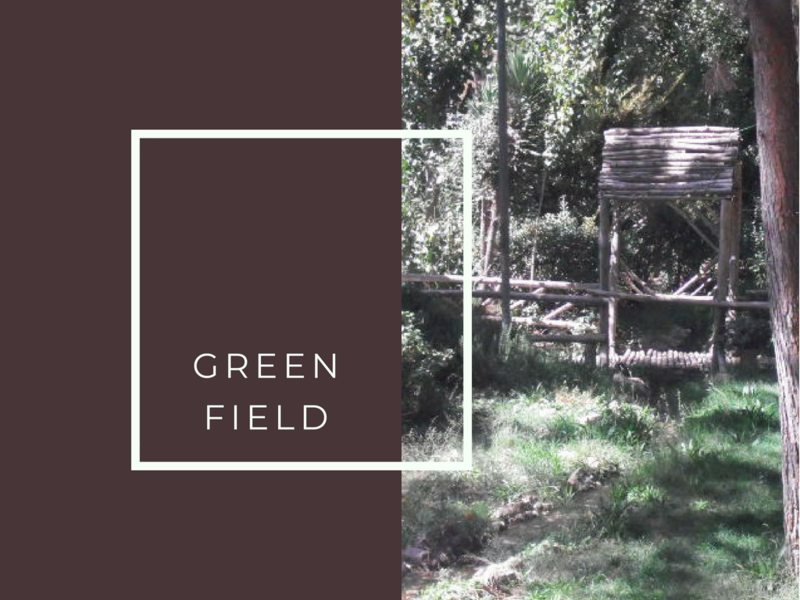 Green Field is your go-to spot for a day of chilling and grilling. No need to worry about equipment, the venue provides you with a barbecue station. Gather up your friends, meat, coal, and make your way to this park. Tip – Avoid the park on weekends, as it tends to get extremely packed. Located in Weibdeh, by The Jordanian Gallery of National Arts, this park is a masterpiece on its own. Not only is it strategically located, the park is also home to a few beautiful sculptures and scattered trees which makes it the spot to relax after an afternoon of gallery hopping. Tip – Grab a cup of coffee from Jungle Fever, which is right across from the park, or take a stroll to Villa Maza for some delicious Lebanese cuisine. A first of its kind in Amman, the Japanese Garden was built to enhance cultural diversity of the city by adding a unique structure stemming from Japanese origins. The garden was designed to mirror traditional Japanese gardens from ancient times. 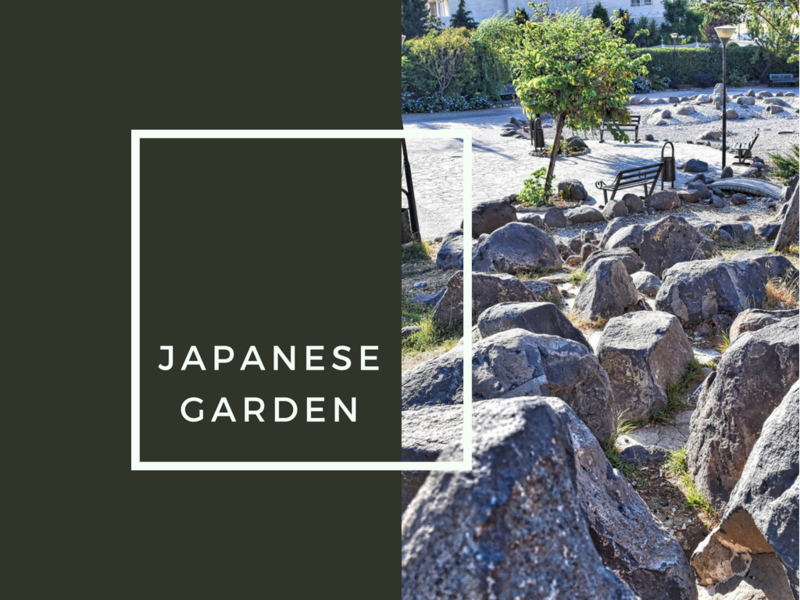 With some elements brought from Japan, while others coming from Amman, The Japanese Garden is a great representation of two cultures coming together. The park is incredibly peaceful and far from the sounds of the city, it’s the place to hit when you want to read a book or meditate. Tip – A short walk from the park, you’ll find Atay Cafe, where you can grab a bite or sip on a smoothie. 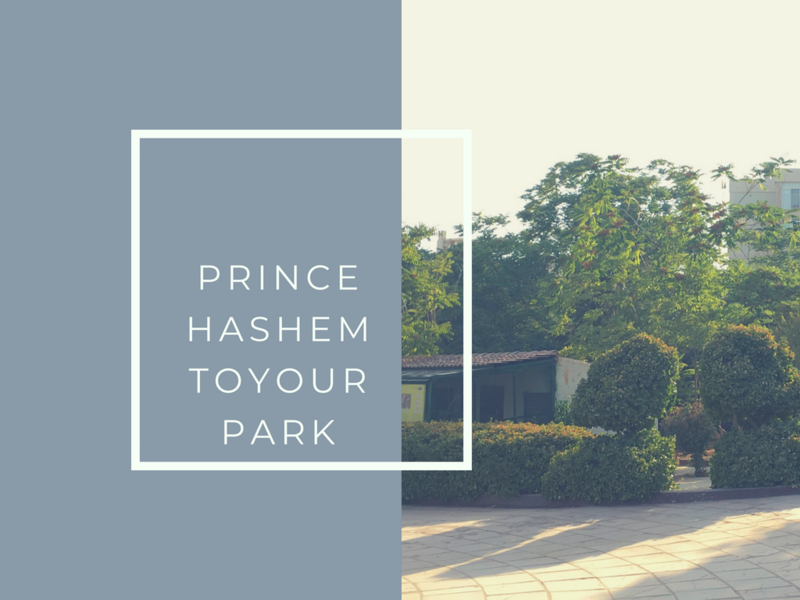 Prince Hashem Toyour Park is a park-zoo mash up. It’s among the only parks in Amman that features animals, specifically birds. You’ll get to walk around, observe the different flocks including but not limited to ducks, geese, peacocks, and parrots. You’ll then be able to lounge around on the various seating areas while the kids enjoy the slides and swings. Stock up on those sunflower seeds, you’re gonna need them. Tip – A 5 minutes drive from the park, you can find Al Qasr Metropole Hotel, where you can savor delicious sushi with a view at Vinaigrette. 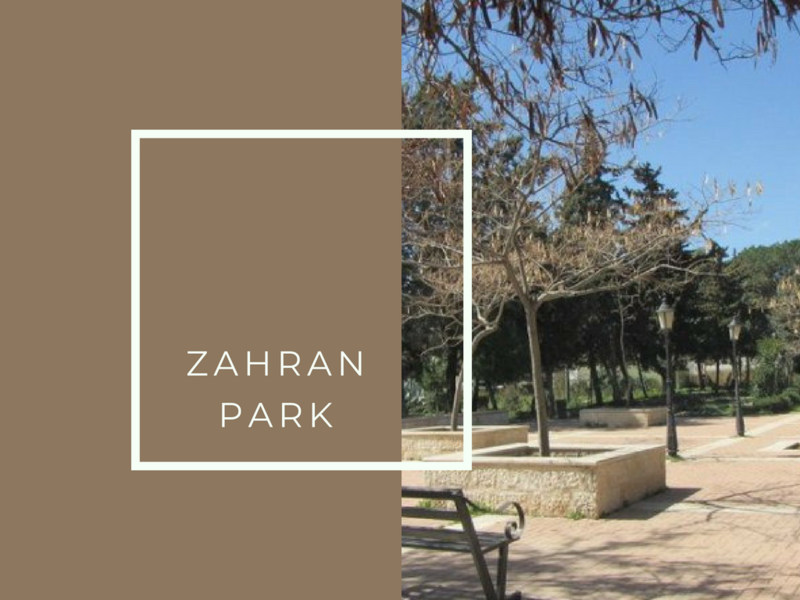 In spite of it’s rather small size, Zahran Park is a favorite among most locals. Known for its greenery and serenity, it’s the spot to go to if you like to relish in a stroll or a book during the early morning hours. Tip – If you’re a breakfast person, head to Shakespeare & Co. for some delish omelettes close by. Haya Cultural Center is known for having many facilities, among those is a park. Designed especially for kids, this park is part of a center that aims at making learning a more interactive and fun experience. Whether you’re young or just young at heart, it’s always a great place to visit. 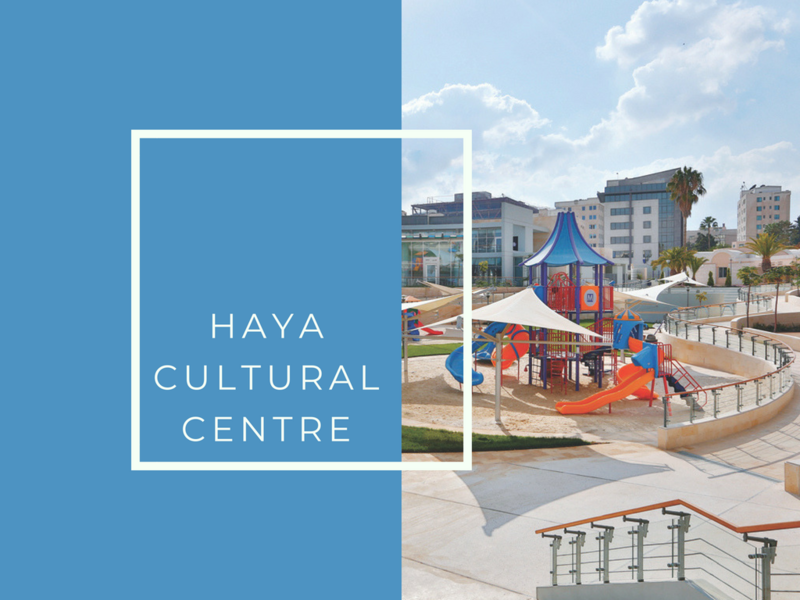 Tip – Double the fun and schedule your trip to Haya Cultural Center park on a day where the center is having a play or showing a movie. 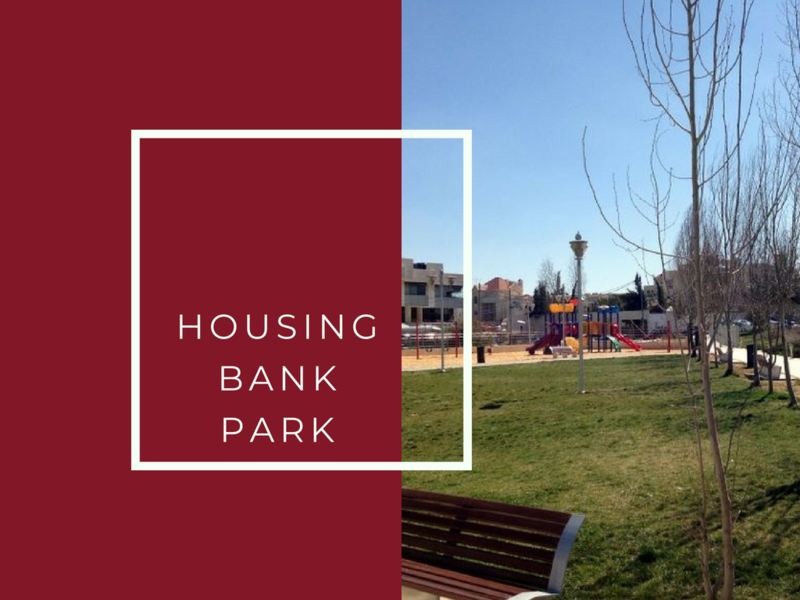 With it’s numerous swings, slides, see-saws, and monkey bars, the Housing Bank Park is a go-to for most parents. 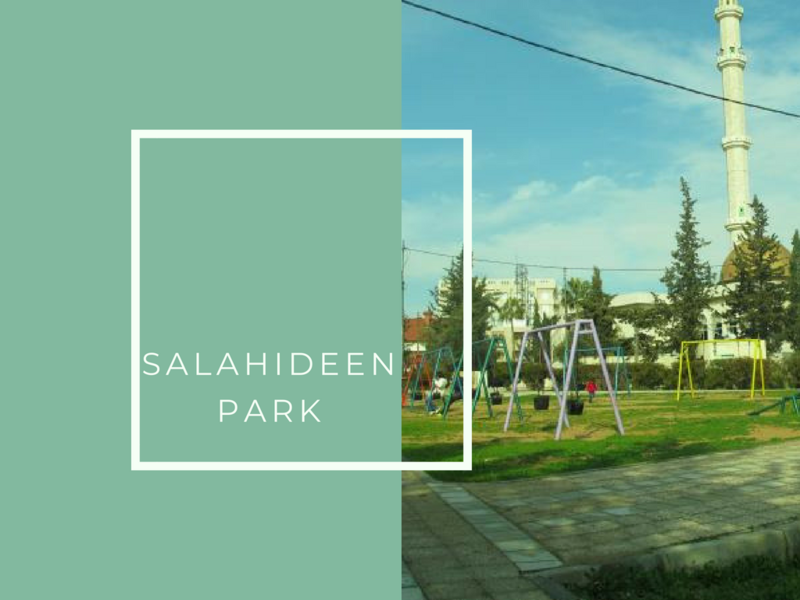 Not only is it located in the heart of Abdoun, it also has a sandbox, a space for kids on skates or scooters, and patches of grass to sit on. Tip – The park is in close proximity to Casper and Gambini’s where you go for lunch, followed by ice-cream at Burger Shack. Located near the Fourth Circle and by Salahideen Mosque, stands Salahideen Park. The park is surrounded by Cypress trees, contains several play areas including slides, swings and a football field for kids to enjoy. As for the adults, you can watch the kids play while on the benches or take a stroll through the relatively vast grounds of the park. Tip – Luigi’s Pizza is right by the park, so grab a pizza-to-go and enjoy the clear skies and beautiful weather surrounded by Cypress trees. 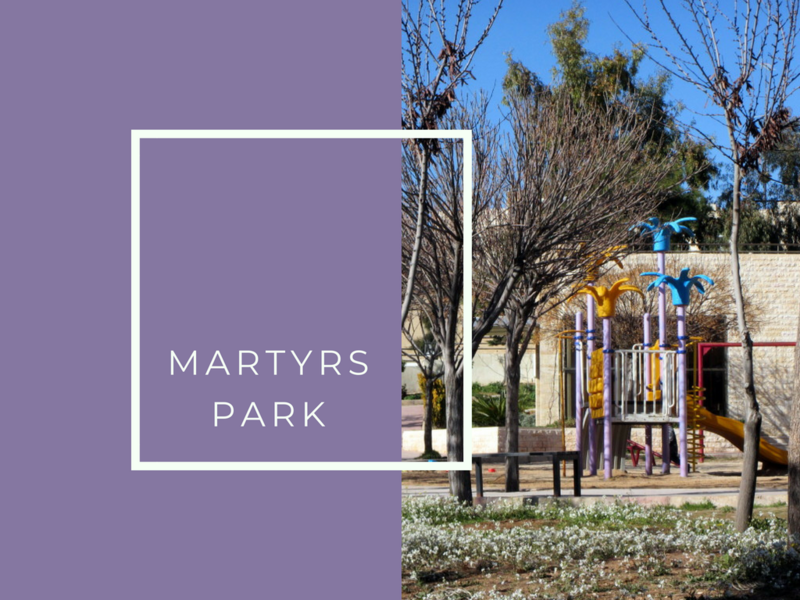 A spacious park, located in Deir Ghbar, Martyrs Park is perfect if you or your kids want to let loose. There are plenty of benches, an abundant amount of swings, and more than enough space to ride a bike or enjoy tossing the ball around. Tip – Stop by The Cake Shop for some goodies before you head to the park because you won’t find any places to snack at directly around the park. 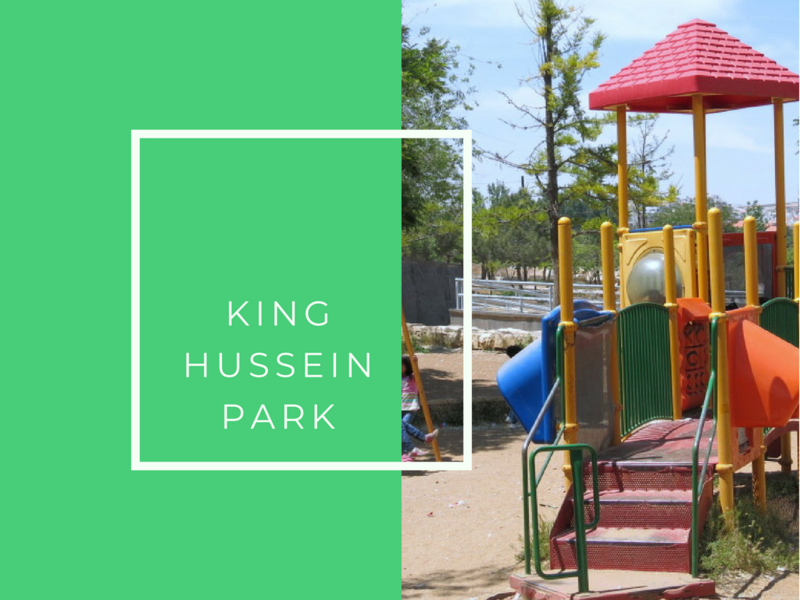 Covering 170 acres of land, with it’s hilly landscape and abundance of greenery, King Hussein Park is an ideal place to unwind. 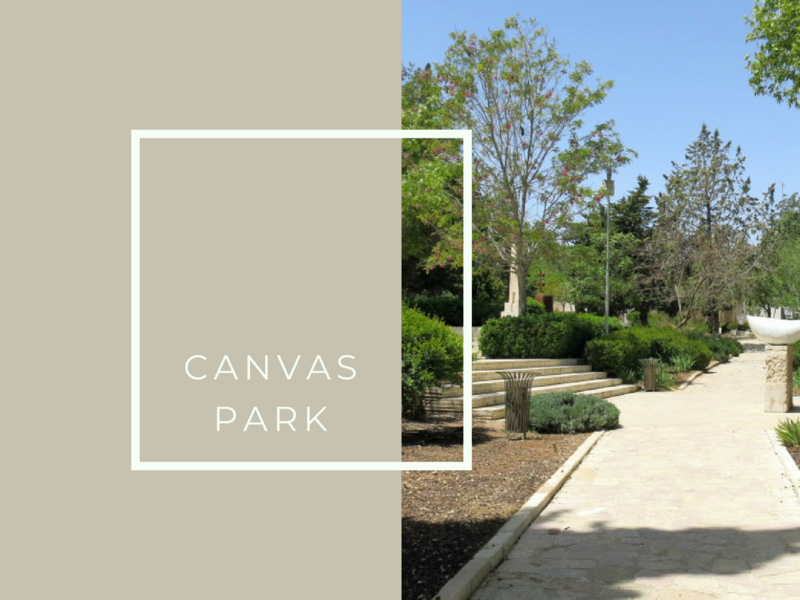 The park encompasses sports fields, play areas, decorated gardens, King Hussein Mosque, The Royal Automobile Museum, and The Children’s Museum. The numerous facilities make this park a spot where you can enjoy an entire day of fun, even allowing you to prepare some food and enjoy a picnic. Tip – The vast amount of land and trees make for a great game of Hide-and-Seek. 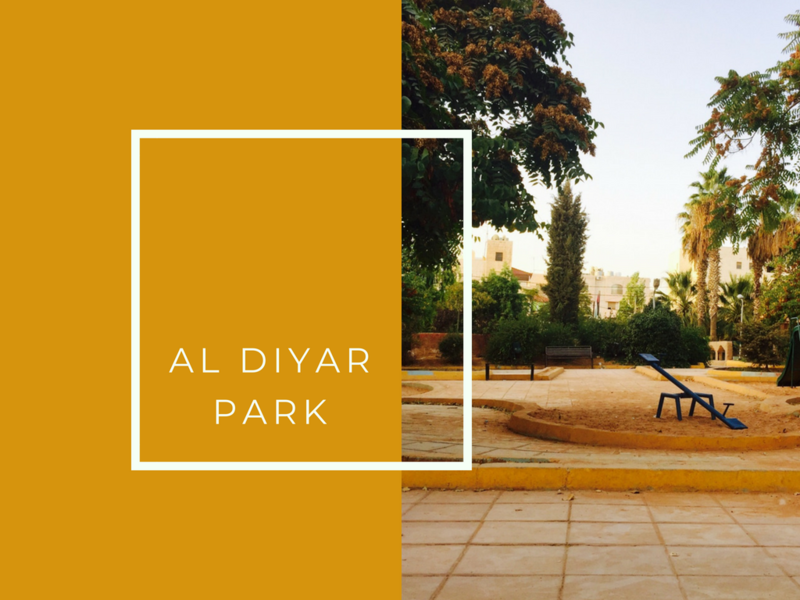 Located by some popular restaurants and The Coffee Bean & Tea Leaf, Al Diyar Park, is exactly where you want to be at on Friday mornings. The park has a football field, swing sets, slides, monkey-bars and a sandbox, enough to keep the kids busy while you enjoy your cup of coffee. Tip – Situated right next to Ooh Là Là – Nail Salon, get a mani and pedi, while the kids play. Any day spent in a national park is a good day.